Cephalosporins are antimicrobial drugs that were first discovered in 1945 by Giuseppe Brotzu. Brotzu was a University of Cagliari professor and a Sardinia government official who worked to eradicate malaria. They were found from cultures of fungi calledCephalosporium acremonium, which came from sewage water, and could inhibit the growth of other bacteria. Since then, many cephalosporin drugs have been formulated, among them the third generation cephalosporin, which has a broader spectrum of activity. What Are Cephalosporins? How Do They Work? Cephalosporins consist of a group of semisynthetic antibiotics with abroad-spectrum of activity. They are derived from fungi called Cephalosporium, which are known to inhabit soil and have a nucleus called 7-aminocephalosporanic acid. Antibiotics that were discovered before 1975 were named and spelled with a 'ph', while those produced later, such as the third generation cephalosporin, are now spelled with an 'f'. Cephalosporins belong to the newer class of antimicrobials and are considered a good alternative for patientswho do not respond to penicillin. There are many clinical studies being conducted comparing these antibiotics with penicillin in fighting various infections. 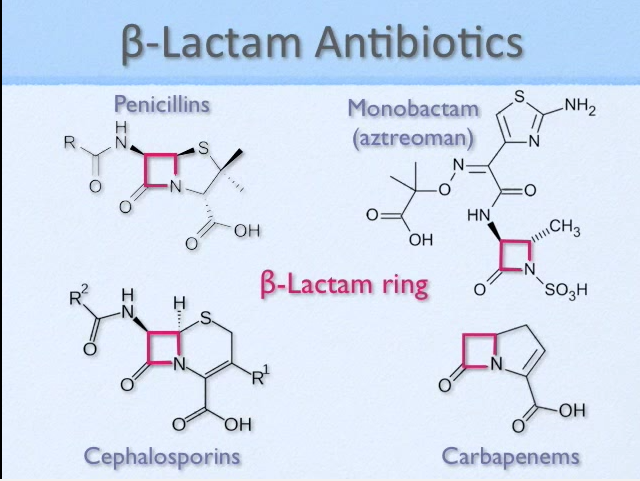 The basic structure of cephalosporin is similar to that of penicillin, which has a thiazolidine and a beta-lactam ring connected to a side chain. These antibiotics work by binding to the bacterial proteins and inhibiting the synthesis of their cell wall. This causes cell lysis, which particularly affects the rapidly growing microorganisms. In this manner, they block bacteria from making an outer protective covering (cell wall), which results in cell death. When Will Cephalosporins Be Prescribed? Cephalosporins are prescribed by doctors to treat various infections that affect the ears, sinuses, throat, nose, lungs, skin, as well as other parts of the body. These drugs are used to treat conditions like pneumonia, staph infections, strep throat, tonsillitis, gonorrhea, andbronchitis. However, they do not work for viral infections like colds or flu. How Are They Classified? How Many Generations? Cephalosporins are divided into classes according to the chronology of generations they were made. So far, there are five generations, with each successive generation having a wider spectrum of activity than the last. This means, for example, that thethird generation cephalosporin kills more types of bacteria than the second generation antibiotics. This is because newer generation cephalosporins are more resistant to β-lactamases, which are protective enzymes producted by bacteria. Watch this video to learn more about cephalosporins. Some of these third-generation cephalosporin drugs have poor activity against gram-positive (G+) bacteria. Ceftibuten and cefixime only have slight activity against S. aureus, so if it is used for infections in the skin and soft-tissues, it should be limited to uncomplicated streptococcalinfections. Allergies. Some people may experience an allergic reaction to cephalosporins. Tell your doctor if you have any unusual reactions to antibiotics or any other drugs, foods dyes, or preservatives. If you are using non-prescription products, be sure to read the labels or package information carefully. Children and the Elderly. Some cephalosporins have been clinically tested in children. Their effects and side effects when used in effective doses are similar to those seen in adults. Some cephalosporins, however, have not been tested in children below 12 years old. Cephalosporins are also used in treating conditions in the elderly, and their side effects are not different from those experienced by younger adults. Pregnancy and Breastfeeding. No studies using cephalosporins have been done in pregnant or lactating human beings. However, animal studies have not shown birth defects or any other problems associated with cephalosporins. Studies involving rabbits have shown that the risk of miscarriage and other problemsmay increasewith cefoxitin. Tell your doctor if you are pregnant or planning to become pregnant before taking cephalosporins. Most drugs are passed in breast milk in small amounts, although it is not certain if cepalosporin is passed into breast milk. A mother’s use of cephalosporins has not been associated with problems in nursing babies. If you wish to breastfeed your baby, tell your doctorbefore taking a cephalosporin. What Is the Best Antibiotic for Folliculitis? Can You Take Plan B and Antibiotics at the Same Time? Can You Take Alcohol and Penicillin Together? Which One Is Better: Neosporin or Polysporin? Why Should You Combine Yogurt and Antibiotics? What Is Nystatin Used For? Copyright WWW.NEWHEALTHADVISOR.COM © 2014, All rights Reserved. Last Updated 20 April, 2019.